Because you'll want to drive this car all year round. Rear-wheel-drive high-performance cars are typically driven in dry conditions. Snow and ice are not its best friends, to say the least. 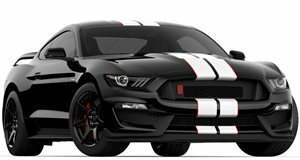 But for anyone living in a part of the world where winter usually strikes hard, should they be denied the opportunity of owning something like a shiny new Ford Shelby GT350 Mustang? Of course not. So it’s up to automakers to design and engineer their latest vehicles to handle nearly every possible road condition, however treacherous. To that end, Ford has a climate chamber for winter testing. It’s an intricate and accurate process, and now you can watch as the GT350 Mustang goes through its testing paces. Will it ever be say, a Subaru, on snowy roads? No, but it hopefully won't kill you either.